We have discovered something very interesting online recently. A web site called http://www.findagrave.com. 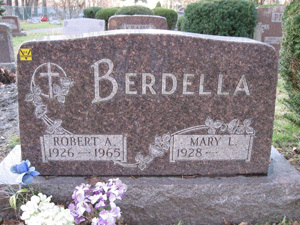 Apparently Bob Berdella is buried in the same grave as his parents, but his name is not written on the tombstone according to Find a Grave. 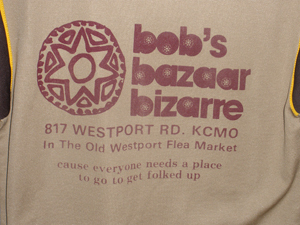 Today we have something special, an authentic-original Bob’s Bazaar Bizarre t-shirt from the 1980s. We came into possession of the t-shirt and business card recently and it has become sort of a good luck charm for the promotion of the movie. Oddly enough the person we got the items from said it was cursed and he and the owner before him got bad luck from it…not us though! 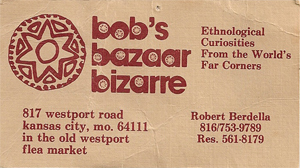 Many people have seen these flyers popping up around Kansas City, its our first Berdella flyer promoting our web site. In the next few months more and more advertisements will be seen throughout our great city. 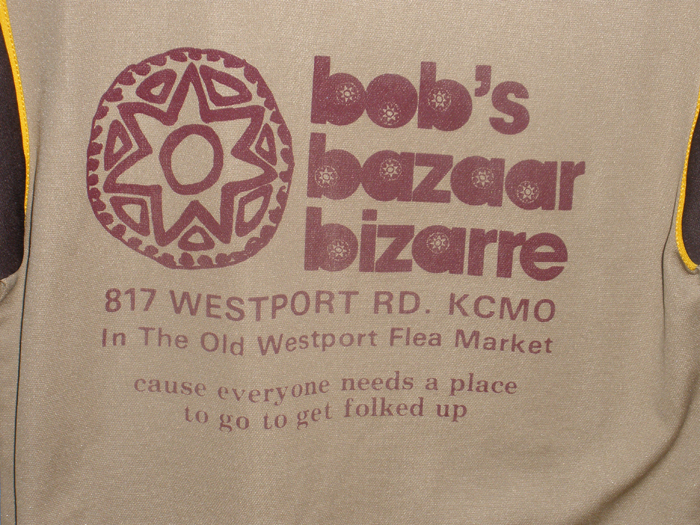 Last week we crossed paths with someone who had official Bazaar Bizarre merchandise. 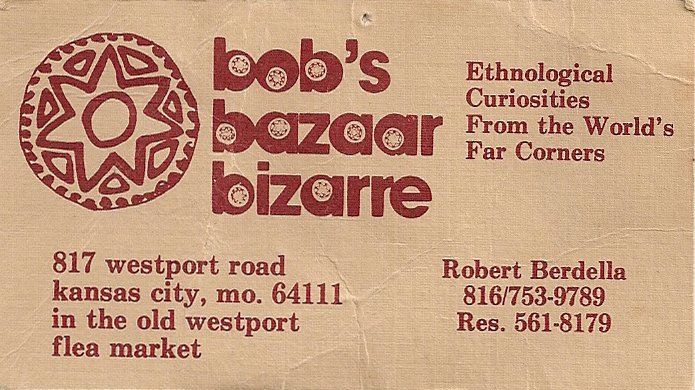 This person had no clue that we were making a movie about Bob Berdella but was eager to sell us his treasure. 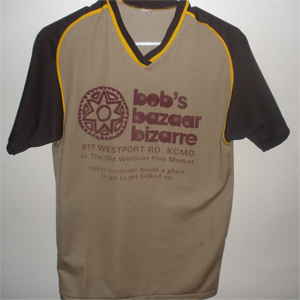 It was an original Bob’s Bazaar Bizarre t-shirt from the 1980s, with official Berdella business card enclosed. 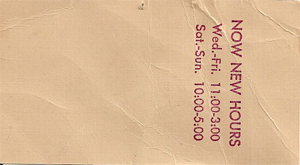 We were finally able to shoot our business card stock, so that was nice. We’ll add the t-shirt with next weeks update. 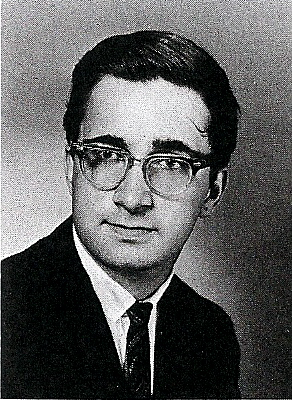 For now enjoy this trip down memory lane. 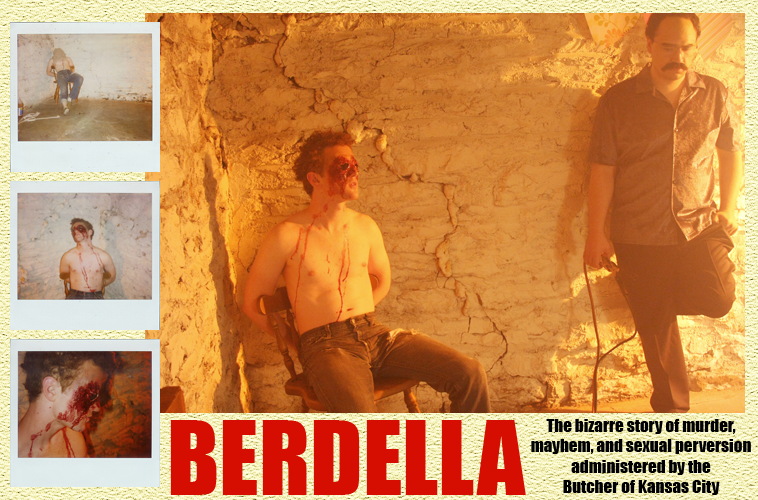 Our facebook group has been expanding, please feel free to join our Berdella movie group to show your support for the movie! Also, don’t forget to visit our Twitter page or our MySpace. Editing on the movie is almost complete were adding in sound effects these days. We’re looking into different film festivals and will release that list over the next few months. 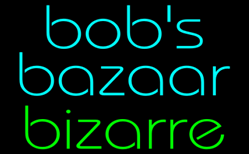 Our intended release date will be September 2009 a week or so after Labor Day ’09. We’ve been working on the movie non stop lately, I feel like were about 85-90% done with editing. Just created a Berdella Twitter and a Berdella Facebook group! Google updated their map service, check out 4315 Charlotte as it sits today! This empty lot below is what is left over of the Berdella residence. 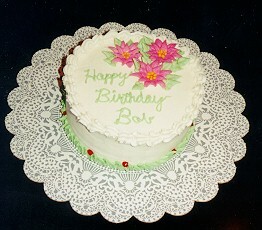 Today, if Bob were still alive it would be his 60th birthday. Editing the movie is coming along very well. We have our score by Topp Boom courtesy of Symbol Heavy Recordings. Most of the video is edited together, were currently adding sound tracks and dubbing. The long tedious process continues but we hope to have the film completed in the next few months. Our plan of attack is film festivals starting this summer, we intend on submitting it to numerous ones here in the states and abroad. Our premiere will be around late August early September, about a year from when filming completed. 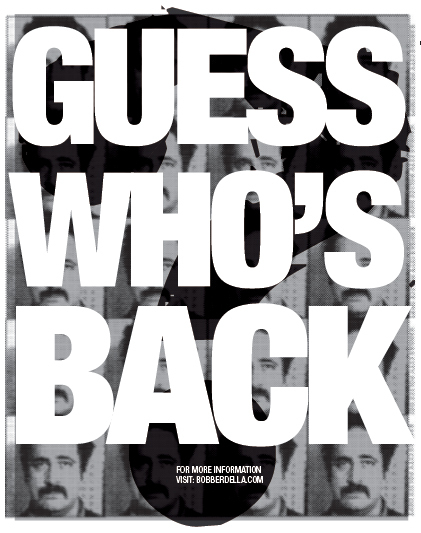 More information on the movie and where it will be playing will be made available over the next couple of months.